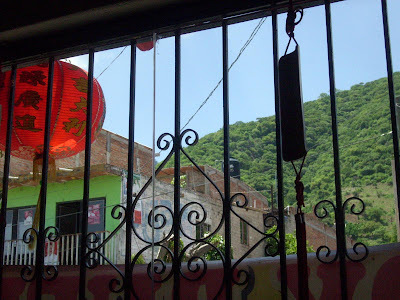 This was the view from my seat in the Chinese Restaurant where we had lunch today. 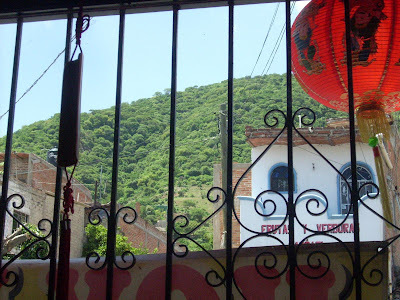 This restaurant is on the main street of Ajijic which serves as the east/west highway on our side of these mountains. They are so green right now. 6 months from now they will be very brown. And, after having enjoyed a wonderful lunch with Memo and our friend from the city north over the mountains (about 45 minutes away -- Guadaljara), the fortune cookies arrived. How interesting that my fortune related to a blog post from yesterday. It reads: Hear with your ears but listen with your heart.